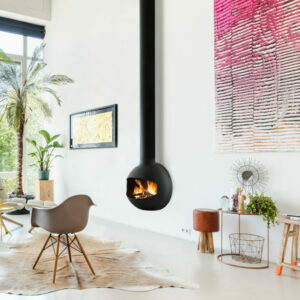 Wood Fireplaces have come a long way in the past decade, and Rettinger Fireplace leads the pack when it comes to options for wood fireplaces, wood stoves, and wood inserts in South Jersey. 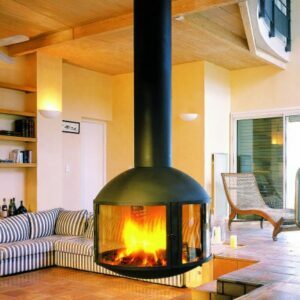 Whether you prefer the sentiment of the crackle of a wood fire and roasting marshmallows with your family, or if you’re goal is to keep your home warm with an efficient wood fireplace, wood stove, or wood insert, Rettinger Fireplace is a resource for wood fireplace installations in NJ. Rettinger Fireplace provides start to finish installation of wood burning units with precision and attention to detail which will add value and comfort to your home. Installing a wood insert into a masonry fireplace is a great way to increase the efficiency of your home and to burn wood responsibly. 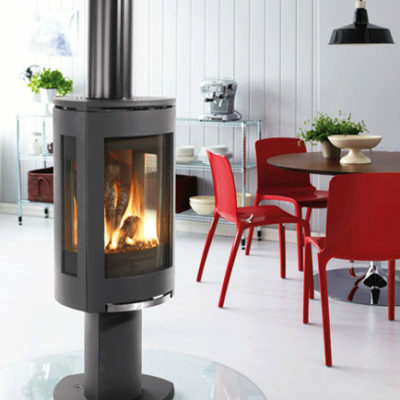 Cast iron stoves and steel plated stoves are the most popular categories for wood inserts. 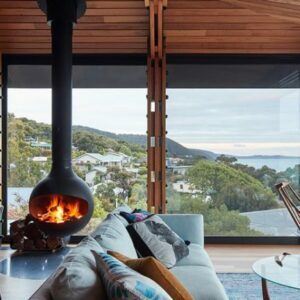 If you’re tired of the cold, drafty masonry fireplace and want to lower your heating bills, you will love the benefits of a high-efficiency, air-tight wood stove insert. Check out specifications for Jotul, Heatilator Ecochoice, and Napoleon wood inserts for properly sizing a wood insert for your masonry wood fireplace. 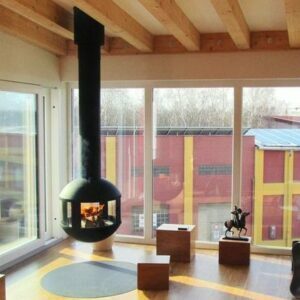 Built-In Fireplaces, “Zero-clearance” high-efficiency air-tight wood fireplaces are prefabricated fireplace that offer a traditional wood fireplace aesthetic with the benefits of an air-tight sealed wood stove. 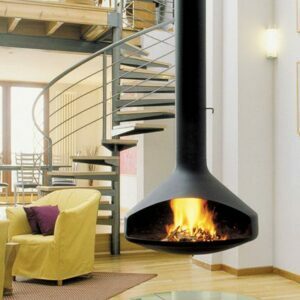 These high-performance wood fireplaces are built into the wall and finished with stone/noncombustible surrounds. Many manufacturers offer different heat distribution options, such as fans, central heat kits, zone heat kits, and more. These units have a large footprint and it is important to review the specifications for proper sizing. We recommend customers consider the Heatilator Constitution, Ventis HE350 and RSF fireplaces featured on our website. 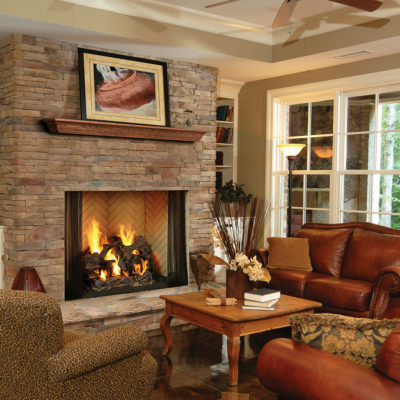 Traditional open-face “zero-clearance” wood fireplaces are most popular in new construction. For those customers who want the sentiment of wood fire smells, warm crackling sounds, and the chestnuts roasting on an open fire, then this is the right category for you. Though these fireplaces with not add heat value to your home, you and your family will enjoy countless hours by your wood fireplace and create memories with each holiday that passes. 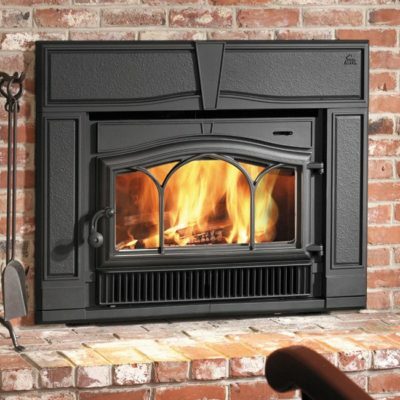 We recommend our customers check out the Heatilator Birmingham, and Heatilator Icon for this timeless wood fireplace category. And when the time comes when you no longer want to haul wood, you can convert these wood fireplaces to a roaring vented gas log or a high-efficient gas insert. Firewood is an abundant and cost-effective fuel in South Jersey fireplaces and Jersey Shore fireplaces. Whether you buy your wood or harvest it yourself firewood is a cost effective fuel source. We proudly provide wood fireplace installations and wood stove installations in Camden County, Cape May County, Atlantic County, Gloucester County, Burlington County, Cumberland County, Ocean County, NJ and Philadelphia / Mainline, PA.